The modern look of the Lakefront Towel Ring offers a fantastic accent to any bathroom. 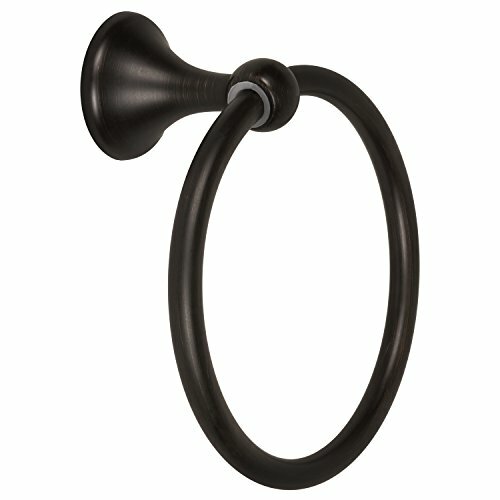 With an Oil Rubbed Bronze finish this towel ring incorporates modern style with classic design, bringing a touch of elegance to your bath. Its proximity to the sink or faucet makes it not only a important visual element but functional as well. Includes mounting hardware and a Limited Lifetime Warranty.